What’s the one thing that both us and Punjabi singers agree on? That girls look best in desi libaaz! 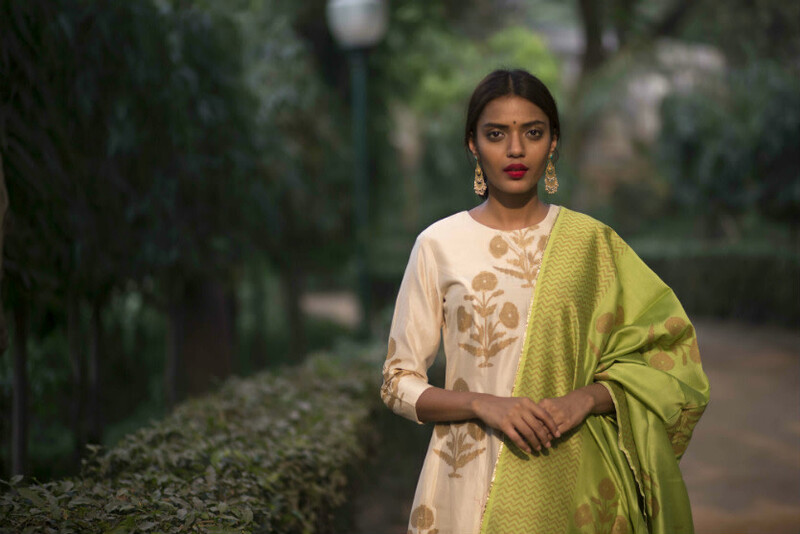 And now that wedding season is back with a bang, it’s time to don that salwar kurta with a flowy dupatta girls ‘cause hello, wedding diaries aren’t complete without some traditional feels! So now that we’ve made you realize the importance of traditional wear and got you all hyped up, let us introduce you to the place that’s gonna be your new ethnic wear BFF this wedding season - Purple Panchi! 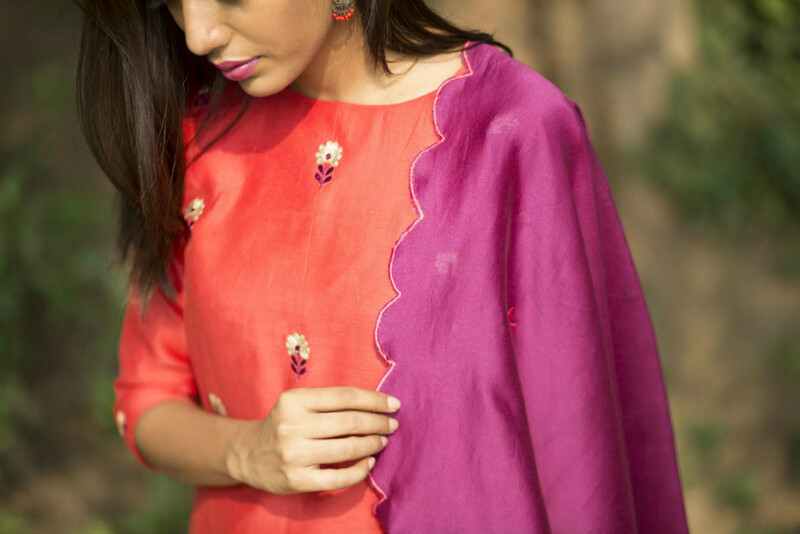 This webstore, designed by Malvika Gupta, has everything you’d need for completing that desi chic look. So if your bhaiya, didi, mama, maasi, chacha, yaar or anyone in the family is getting married, then check out their collection before skipping from market to market. You’ll love their new wedding collection, and here’s why! These people never, and we mean never, compromise on quality! They use the finest fabrics to make the most perfect dresses and outfits and trust us, you’ll be left stunned by their designs. They combine quality with quirky Indian bootahs to make some refreshing new designs and styles and we’re crushing on ‘em all! These guys play with colours and prints and come up with something totally unconventional with their quirky jugalbandi and the end results are damn impressive and will make you feel beautiful as soon as you put their creations on! You must have figured out already that all their designs are inspired from nature - flora and fauna. They have everything from genda phool, roses, lotus, mogras, Ecru birds and goldfishes to elephants prints and we adore it all! And if the prints weren’t interesting enough, then you’ll love the use of bright and pretty colours like yellow, fuchsia, cobalt and jade blue, amethyst, apricot peach and lots more. Their wedding collection is a gold mine for every bride and her bridesmaids, we mean, you can snap up the most beautiful lehengas, anarkali dresses and chanderi suits in the prettiest of colours and the most funky designs and we’re totally lovin’ it! These guys have something for each function in your typical ‘Big Fat Indian Wedding’! You can put on the pretty flower-printed yellow sharara with the prettiest dupatta for the haldi ceremony, rock the mehndi night with their lovely Mehndi Coloured Chanderi suit or put your dancing shoes under the green lotus lengha set and dance away on the sangeet night! ‘Cause after all, in the words of Guru Randhawa - ‘Ni tu lagdi Punjaban, lagdi patola, lagge ni tu sariyan to wakh ni, tenu suit suit karda’! So all the would-be brides, bridesmaids and Indian wear lovers, bookmark this webstore and shop away!